Mohammedia, a calm and lush port city half way between Rabat and Casablanca offers the perfect day trip to escape from busy city life. 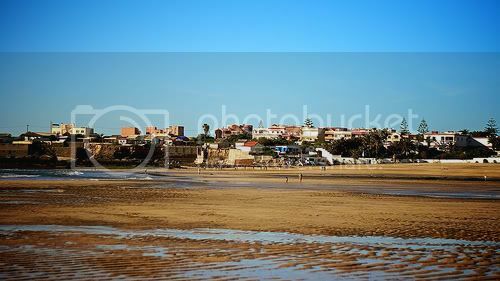 Boasting one of the best beaches on the Southern coast of Morocco and some of the greenest landscapes, this small city is easy to get to and hard to leave. 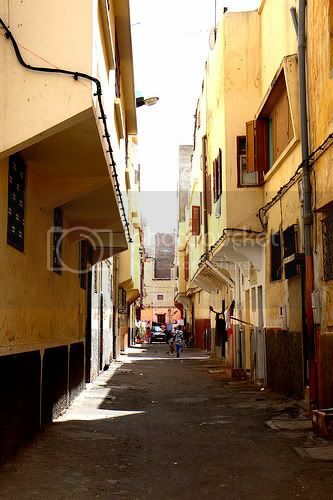 It is a completely different experience than the nearby metropolis of Casablanca. While the medina is relatively small, there are plenty of little cafes and restaurants to take in a cup of mint tea or a traditional Moroccan tagine. Stepping off the bus or train an instant feeling of serenity washes over its visitors and welcomes them in. The people of Mohammedia are warm and friendly. They are willing to provide directions and suggestions and aren't looking for the typical payout at the end of the conversation. These small gestures they do out of their sincere kindness leaving Mohammedia free from the typical tourist trap reputation. Mohammedia was established as Fedela in 1912 by prominent business man, George Hersent who started a Franco-Moroccan company that became the basis of the city’s development. In 1960, the name was changed to Mohammedia after King Mohammed V to celebrate the ground-breaking for an oil refinery. The University of Mohammedia is one of the cornerstones of the city, while a grand mosque in the small media is its most notable architectural sight. Mohammedia also holds an important role as a port city and large cargo boats can be seen along side a gang of sailing competitors from the Mannesmann Beach in east Mohammedia. Their horns blare as the tugboats ferry out to meet and pull them in. Modern developments like the Marjane chain of grocery stores mix in with the Kasbah and traditional souks. It is not uncommon to see a horse-drawn cart of produce clip-clapping its way down the street next to the cars and city buses. You’re bound to pass a cart piled with fresh fruit and there are plenty of beautiful flowers at roadside markets for a change of pace from the same old souvenir shopping. boasts a really challenging course thanks to high winds and difficult course technicalities. The small city doesn’t offer much in the way of sightseeing, but the Yacht Club du Maroc offers a host of recreational activities including soccer, tennis, golf, volleyball, surfing and windsurfing, swimming and horseback riding. Just roaming the streets and seeing all the gated homes with lush walls of greenery protecting their privacy makes for a nice afternoon. The painted wall murals also give the city an unexpected brightness too. you will find a surf school, public restrooms and showers. Restaurants with tables right in the sand offer a full range menu of traditional Moroccan fare and musical entertainment. If you’re into water sports, jet skies are also available for rental, but a slow camel or horseback ride is another alternative for land-lovers. The beach can get crowded with a diverse body of sun seekers, but there is always plenty of room to stretch a towel and there are plenty of sections roped off for chair rentals. The waves can get high, but the tide gets low so you can walk out pretty far into the water to cool off. La Plage de Mannesmann, is just as lovely a beach destination, and Pont Blondin is a great beach for surf enthusiasts. Because of its small size, Mohammedia is more suited as a day trip location and doesn’t offer much in the way of hotel accommodations. The cities hotels have a total capacity of 640 rooms, and a few upscale hotels are in development to meet the needs of wealthier clientele. The Jnane Fedala Hotel is the best option if an overnight or two at a reasonable rate is warranted, and includes a lovely restaurant. Hôtel Restaurant JNANE FEDALA, located at Rue Abderrahmane Serghini. For the real outdoor types, Mohammedia also offers a great place for campers at the Loran campsite for an alternative to hotel accommodations. For longer-stay, family style accommodation, The Sahara Beach is a bathing complex with luxury, oceanfront apartments. The apartments, located just 5 minutes from the center of Mohammedia, offer spacious flats with bright, sunny areas, fully-equipped kitchens, sea views, and a pool. Mohammedia has something to offer travelers that many other Moroccan cities don't; a calm day away from it all. After a day at the beach or a walk around the city, the rest and relaxation that seem to be part of the cities fabric takes over the weariest of bodies and provides much needed rejuvenation for the next destination. Think of it as a vacation from your vacation.